Synopsis: The Omega resistance has been brutally attacked, its members dead or in hiding. The Alpha Council’s plan for permanently containing the Omegas has begun. So recently we revealed the amazing cover this book, and so I was really excited to read it. What was going to happen, where was the book going to go...all these questions rattled around my head. 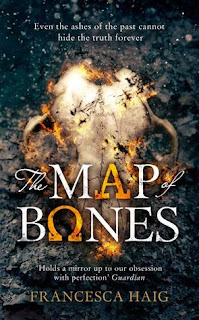 The Map of Bones picks up just after where we left off in The Fire Sermon ( for which you can recap on my thoughts here) and I found that I feel back into this world really easily. This was quite an inbetween book for me...and yes I know it's two out of three, but more that it felt a little like Half Blood Prince in that it was leading up to something. This however does give good ground to lay seeds and explore elements in more detail. Here we go deep into relationships and what the Alpha/Omega segregation has done and continues to do to people. Then mix into this there was also an element of change. That was a really nice quality to have here. Opinions don't have to be fixed and change is possible and it was beautiful to see how the characters of different brands interacted. it wasn't all smooth sailing but nothing like this ever is. one of the elements I really loved was the Bards, I find them fascinating characters and gives you so much to play with and i loved their stories and their songs here. Cass also comes into herself more here, standing up for herself and her beliefs and will to do what she know knows she has to do. This gave a really good dynamic between her and Piper and even Zoe, who was headstrong and feisty and as much as you wanted to slap her you wanted to hug her. Similarly to the way I felt with The Fire Sermon, there was just something about the tone, that I can't even put my finger on, that for better want of a word felt monotone so that I wasn't getting so attached to the book. It is however written very well and I did enjoy it, so it's a really weird conflicting feeling for me, because there was emotion and there was depth in here. Maybe I'm just weird. The information kept coming to the end which was great, but now I'm left with this void of wanting to know what's going to happen, where its going to go and...other things that I don't want to say to avoid spoilers. 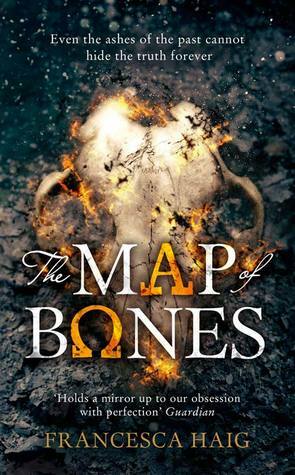 Let me know what you thought of Map of Bones!